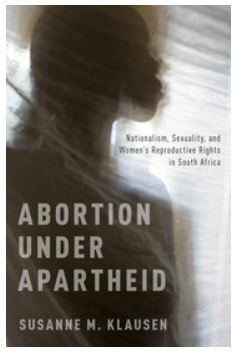 Abortion Under Apartheid examines the politics of abortion in South Africa during the apartheid era (1948-1990), when termination of pregnancy was criminalized. It analyzes the flourishing clandestine abortion industry, the prosecution of medical and “backstreet” abortionists, and the passage in 1975 of the country’s first statutory law on abortion. Susanne M. Klausen reveals how ideas about sexuality were fundamental to apartheid culture and shows that the authoritarian National Party government – alarmed by the spread of “permissiveness” in white society – attempted to regulate white women’s reproductive sexuality in the interests of maintaining white supremacy.